The roots of Augsburger Drahtseilfabrik go back to 1785. In those days hemp ropes were manufactured in Lechhausen near Augsburg. 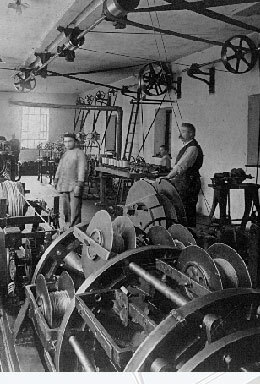 More than 100 years ago Adam Friedrich Kröner, Thomas Friedrich Kröner´s son, adapted the craftman´s estabilshment to industrial production of steel wire ropes. In 1969 Eugen Ulm moved the company to the outskirts of Augsburg. Meanwhile the company – now run by the 6th generation by Thomas Ulm – has been further expanded.